Several groups representing the indigenous peoples of Guyana came out today expressing their disappointment with A Partnership for National Unity and urged the Party to act maturely and in the best interest of all of Guyana. 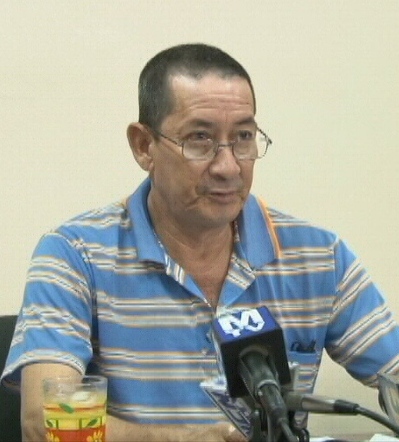 The groups are referring to the APNU’s non – support of the Amaila Falls Hydropower Project. The groups represented at today’s [Tuesday, August 20] press conference were the National Toshaos Council, The National Amerindian Development Foundation and the Amerindian Action Movement of Guyana (TAAMOG). Together these bodies say they represent more than 160 Amerindian communities. Chairman of the National Toshaos Council, Derick John says the council is more than disappointed with the actions of the APNU that resulted in the current state of uncertainty for the Amaila Falls Hydropower project. He is now calling politicians from all parties to act maturely and in the best interest of Guyana. This Toshao also expressed the view that the APNU’s Leader, Mr. David Granger should be more nationalistic is his leadership and listen to the views of his supporters who want the project. Disappointment was also expressed by the National Amerindian Development Foundation that was represented by its President, Ashton Simon. Simon is of the view that the parliamentary opposition’s intention is to derail any positive development of Guyana. Meanwhile, TAAMOG says the Amaila Project is not a political football but a project designed to enhance the lives of all Guyanese.